The DNR’s Summer Kickoff (June 7-8) is a great opportunity for folks to enjoy time in Michigan's great outdoors with family and friends. 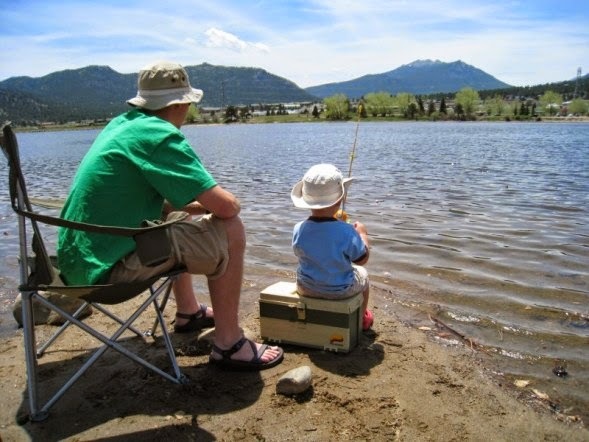 June 7-8 is Free Fishing Weekend, when all fishing license fees are waived for two days. Residents and out-of-state visitors may enjoy fishing on both inland and Great Lakes waters for all species of fish. All fishing regulations still apply. Learn more atwww.michigan.gov/freefishing. June 7-8 is Free ORV Weekend, when ORV license and permit fees are waived for off-road vehicles. Anyone (resident or nonresident) may ride an ORV for free, but all ORV laws still apply. Find a trail at www.michigan.gov/orvtrails. June 8 is free entry to all 102 Michigan state parks; no Recreation Passport required. Pack a picnic, bring some sand toys and make a day of it. This is the only day of the year when there is no vehicle entry fee for the state parks. Camping fees still apply for overnight visitors. Find a park near you at www.michigan.gov/stateparks. National Trails Day - Saturday, June 7. Take a Walk in the Park with Blue Cross Blue Shield and the DNR in honor of National Trails Day. With events taking place statewide, this is a great opportunity to enjoy a scenic walk with friends, family and neighbors. All events are part of the MI Big Green Gym campaign. Learn more at www.mibiggreengym.org. Michigan Boating Week - June 7-14. This weeklong campaign offers many opportunities to get started with boating or get back into it. Michigan Boating Week also aims to educate boaters about how to become stewards of the water. This is a partnership between the DNR, the Michigan State Waterways Commission and the Michigan Boating Industries Association. Learn more atwww.michigan.gov/boating. The DNR calendar lists hundreds of events throughout the summer, most of which are free with a Recreation Passport. Be sure to check out all the event listings at www.michigan.gov/dnrcalendar. The Recreation Passport is an easy, affordable way for residents to enjoy and support outdoor recreation opportunities in Michigan. By checking "YES" for the $11 Recreation Passport ($5 for motorcycles) when renewing a license plate through the Secretary of State (by mail, kiosk, online at www.expresssos.com or at branch offices), Michigan motorists get access to state parks, recreation areas, state forest campgrounds, nonmotorized state trailhead parking and state boat launches. The Recreation Passport is valid until the next license plate renewal date. Nonresidents can purchase the Recreation Passport ($31 annual, $9 daily) at any state park or recreation area or (annual passes only) through the Michigan e-Store at www.michigan.gov/estore.